Walmart may be the next giant to enter the video streaming wars, according to a report from The Information. The retailer is reportedly considering launching its own video streaming service to battle Netflix and Amazon Prime Video. But Walmart wants to undercut its competition by pricing its service at $8 per month—or lower. According to the report, the $8-per-month price comes from the idea that Netflix and Amazon are more popular with customers on the East and West Coasts. Customers living in the middle of America may gravitate toward a lower-cost option. Currently, Netflix prices its service between $8 and $14 per month while Amazon Prime Video is roughly $8 per month. Both services have seen price increases recently as well—Netflix raised the price of its top-tier 4K streaming plan by $2 and its mid-tier plan by $1 at the end of last year, while an Amazon Prime annual subscription jumped to $119 in May (Prime Video is included in a Prime membership). The plan is still in the early stages, and Walmart may decide to scrap the idea entirely. But launching its own streaming service would place Walmart in direct competition with Netflix and heat up its battle with Amazon. Walmart may also consider a no-cost ad-supported service, which sounds much like what Roku has with the ad-supported channels it features across its streaming devices. Walmart isn’t totally new to video streaming—it already owns Vudu, a service for buying and renting movies. Vudu launched its own ad-supported streaming service, Movies on Us, a few years ago as well. But neither Movies on Us nor Vudu are anyway near as popular as Netflix or Amazon Prime Video, and Walmart likely wants to grab some of the eyeballs that Netflix and Amazon pull in every day. It’s unclear what content would populate Walmart’s streaming service. Both Netflix and Amazon feature licensed content on their services, but all companies involved in the streaming wars are throwing piles of cash at original programming. Netflix, Amazon, Hulu, and Apple all plan to spend billions in the coming years to produce original shows and movies, hoping new content will garner success similar to that of Netflix’s Stranger Things, Amazon’s The Marvelous Mrs. Maisel, and others. The news of Walmart’s streaming ambitions comes as Netflix subscriber growth is appearing to slow. Although Netflix has 130 million subscribers globally, it missed its subscriber growth targets for the April-June timeframe by about one million. 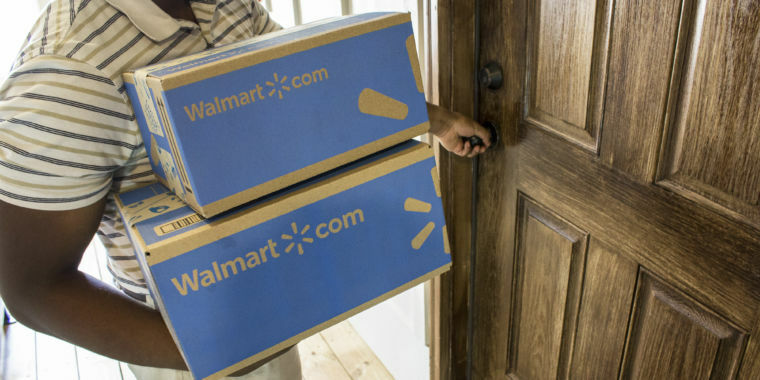 Walmart’s battle with Amazon for retail dominance continues to rage as well: Walmart recently signed a five-year agreement with Microsoft to use its cloud services across the company. Microsoft’s cloud service is the biggest competitor to Amazon’s AWS, and there are rumors that Microsoft could help Walmart even further. The retailer may test and implement cashierless technology created by Microsoft in its stores, which would eliminate the need for check-out lines. Amazon Go stores already use a similar technology, and Amazon plans to open more locations soon. January 29, 2019 Comments Off on Huawei is facing a 13-count indictment including bank fraud by the U.S.